Document Studio is a Google Add-on and is available for download from the Google Chrome store. Google Apps and GSuite Admins can install Document Studio for all users in their domain from the Google Apps marketplace. Document Studio works in all browsers and all you need is a Google account to get started. It works with free Google accounts and GSuite accounts. 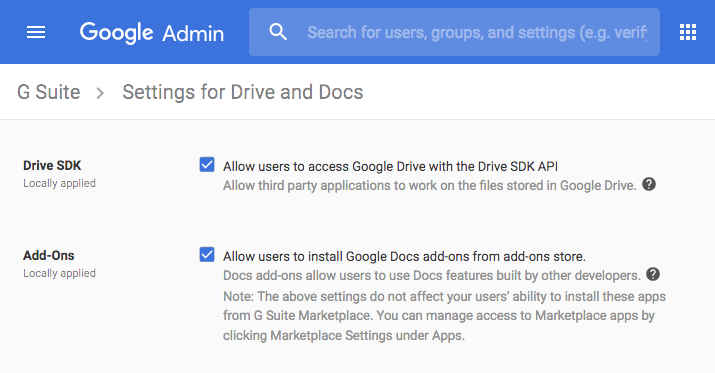 If you are on G Suite or Google Apps, your domain administrator must have enabled Drive SDK and Add-ons inside the Google Admin dashboard as explained in this guide. The Google Drive service must also be enabled in your Google account.